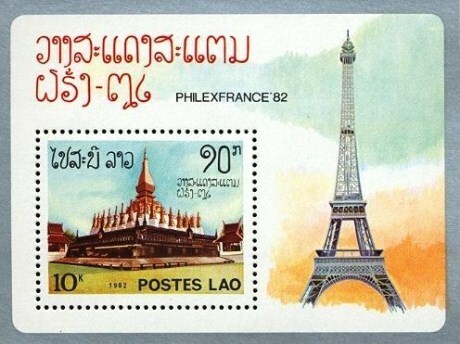 Lao MS – Philexfrance 82 International stamp exhibition, Paris. Issue on 09 June, 1982. Printed by The National Printing Works, Havana, Cuba.